How to Keep a Big Project From Stressing You Out! Have you ever had a big project you needed to do but you were completely overwhelmed and didn’t know where to start? The solution to that problem is simple – break the project down into smaller steps. Here are a couple of examples from my life. I have two quilt projects going right now. I was feeling overwhelmed so I made a couple of charts for my planner that broke each quilt project down into manageable steps. The first chart is just a bunch of boxes. Each box represents a square of the quilt. 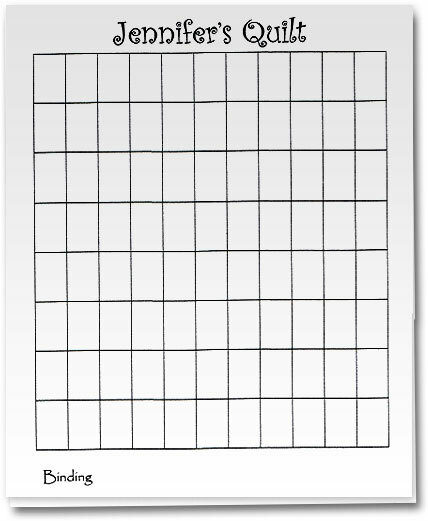 For some reason, I’m more motivated to quilt if I get to check off a box each time I finish a square. Plus I can see at all times where I am in the project. The second chart is a little more detailed since I was in the beginning stages of the project when I made the chart. 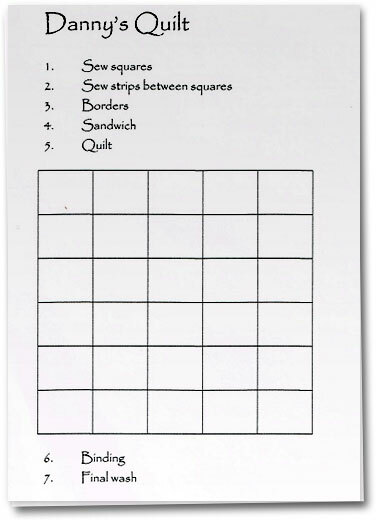 The chart lists the steps required to sew the top together, boxes representing each square, and then a few steps at the end for finishing. I felt a lot better about this project once I made the chart. And each time I mark off a step, I feel like I’m making progress and the project doesn’t seem so overwhelming. So it’s your turn. Take a look at your to do list and see what projects could be broken down into smaller sized pieces. Then make a list of all the steps required and get started! You’ll be surprised at how much less overwhelming it feels.